According to the MBTI Manual, creativity correlates most strongly with intuition (N), as well as, to a lesser extent, perceiving (P). This suggests that NPs (i.e., the INTP, INFP, ENTP, & ENFP) are, on average, the most creative of all types. This should not surprise when we consider that NPs use Extraverted Intuition (Ne) as their dominant or auxiliary function. Ne is a “brainstorming” function and can be seen as synonymous with divergent thinking, which Wikipedia defines as “a thought process or method used to generate creative ideas by exploring many possible solutions.” Despite this, some NPs may fail, especially early in life, to recognize their creative potential. This may be particularly true for NTPs, who may prefer to express their creativity philosophically or technologically rather than via traditional creative art forms. Not only may NPs fail to recognize their innate creativity, but also their need for creativity. Some may not view creativity as an essential personal need until they find themselves working a mundane job. At that point, they are like fish out of water, feeling stuck, stifled, and suffocated. NPs’ need for creative engagement contributes to their reputation as restless seekers. As long as their creative needs are going unmet, NPs will tenaciously search for alternatives. Ironically, once NPs finally manage to secure the time and space they need to operate creatively, they often fail to capitalize on it. They quickly discover that larger creative projects, such as writing a book or making an album, are far more challenging than they imagined. It’s not that NPs find themselves short on ideas; if writer’s block is construed as a deficit of ideas or possibilities, NPs don’t suffer from it. They may, however, struggle to nail down the best idea or course of action. Because Ne incessantly bombards them with ideas and options, discerning a coherent theme, approach, or objective is a common source of difficulty for NP creatives. Kierkegaard once remarked that “life can only be known backwards.” The same can be said of NPs’ creative process in that they never know in advance where the creative spirit will take them. They actually relish this future blindness, which engenders a sense of eagerness and anticipation toward what the creative process might reveal. NP writers, for instance, may see outlines (especially detailed ones) as anathema, sensing that too much upfront planning might dampen their feelings of inspiration and anticipation. Thus, many NPs will forgo extensive planning (J) and instead follow whatever feels most meaningful or inspiring in the moment (P), perhaps figuring they can hone or organize their ideas at a later point. Because of their propensity to spontaneously dive into creative projects, NPs are known for being great project starters. A commonly used example is the ENTP entrepreneur who has a great idea and starts a new company, but then quickly loses steam once things shift from creative conception to implementation. As introverts, INTPs and INFPs may have a bit more staying power than ENPs, but they too can struggle with finishing what they’ve started. NPs’ work may also suffer from a lack of thoroughness. In trying to keep pace with the rapid-fire nature of Ne, their work may be scant and scattered, amounting to a skeletal sketch of the movements of Ne. And once the main ideas have been birthed and their inspiration has waned, they may lack the motivation to return and fill in the gaps. To J types, it may seem that NPs are simply lazy or lacking in willpower. After all, Js are inclined to see it as their duty or responsibility to finish what they start. But for NPs, things aren’t quite that simple. Instead of being motivated by duty, they orient themselves to energy and inspiration. They’ll work hard and fast when they feel inspired, but may struggle to continue once their inspiration wanes. Typically, this energy-oriented approach works just fine for smaller projects. If something needs to be fixed, NPs can jump in, solve the problem, and feel good about the result. Unfortunately, most careers aren’t structured in a way that allows NPs to consistently solve small problems in creative and meaningful ways. Even jobs centered on troubleshooting (e.g. 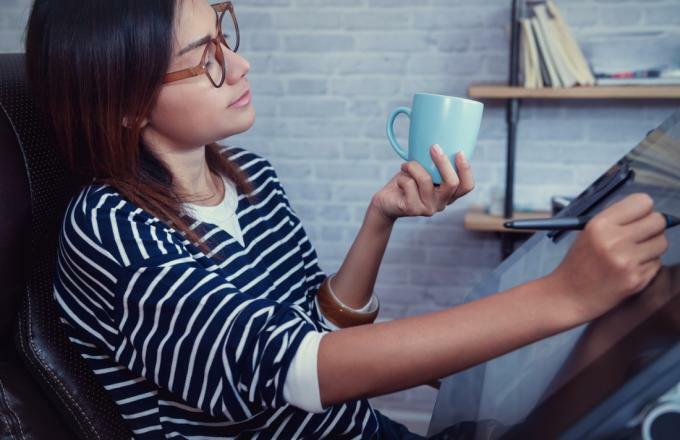 IT jobs) often end up feeling mundane because the problems encountered are typically familiar and thus don’t require a truly creative response. Therefore, NPs often end up feeling stuck. They feel dissatisfied at work because of insufficient creative opportunities. At the same time, they may fear they don’t have what it takes to successfully tackle larger creative undertakings. To maximize their chances of success in creative careers or larger creative projects, NPs must first understand their own psychological propensities. One factor, which we’ve already discussed, is their orientation to energy and inspiration. NPs want a project to feel authentic and meaningful in order to bolster their energy levels. However, they may fail to realize the downsides of exclusive reliance on feelings of inspiration. While doing so may serve them well when it comes to initiating projects or generating lots of ideas in a short amount of time, it can negatively affect their follow-through as well as the thoroughness and quality of their work. NPs are also prone to distractedness, impulsivity, and quick gratification. They expect that things will come easily and naturally for them, without excessive strain or difficulty. They may therefore struggle to tolerate the discomfort associated with persisting in activity, especially when Ne is tempting them with more immediately gratifying alternatives. The scattered and distractible nature of Ne is why many NPs (especially ENPs) are diagnosed with ADD. NPs can also be impatient. 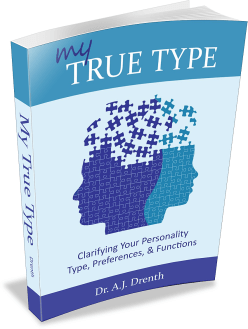 This may be particularly true of INTPs and INFPs, since, unlike ENPs, they are neither dominant perceivers (i.e., INPs lead with a judging function, Ti or Fi), nor process-oriented (types with a dominant perceiving function are more process-oriented). Hence, INPs may feel compelled to move as quickly as possible toward an anticipated goal (J) and can quickly become impatient if they encounter obstacles along the way. So while ENPs are more apt to struggle with distractibility and lack of focus (Ne), impatience may serve as a greater obstacle to creative success for INPs. Anxiety and low mood can also be problematic for NP creatives. NPs can be rather high-strung, anxious, and restless. Because Ne is constantly speculating about what could or might happen, NPs may find themselves plagued by worry. At the other end of the spectrum, they can struggle with feelings of boredom and low mood. In fact, many NPs battle both anxiety and low mood. They find that low moods can mutate into anxiety, and vice-versa. This can be exacerbated when NPs medicate their symptoms with psychoactive drugs, including caffeine and alcohol. For instance, an NP who wakes up feeling down or lethargic might turn to coffee for a boost, only to find herself riddled with anxiety shortly thereafter. Such NPs may feel they are fighting a no-win battle, one in which they are perpetually under-stimulated (e.g., bored, depressed) or over-stimulated (e.g., anxious, hurried). Mind-body approaches, such as yoga, meditation, and mindfulness, can be particularly helpful for addressing tension and anxiety. Yoga helps to reduce tension and enhance bodily awareness. It can also teach NPs the importance of monitoring and regulating their breathing. Since restricted abdominal / diaphragmatic breathing and anxiety go hand-in-hand, learning to breathe slowly and consistently with the diaphragm can go a long way in helping NPs reduce and better tolerate anxiety while performing creative work. Instead of self-medicating or running away from their anxiety, attending to their breath can help them remain calm and patient when anxious feelings arise; the breath can serve as a source of safety and refuge amidst the storms of anxiety. If one can maintain a pattern of deep and consistent diaphragmatic breaths, anxiety will typically remain at manageable levels. With that said, it is also the case that some people have excessive tension in their abdominal muscles or diaphragm, which compromises their ability to breathe deeply and effectively; but with time and practice, this too can be overcome. Learning to effectively handle anxiety is an indispensable skill for NP creatives, allowing them to more readily and consistently experience deep creative flow. Mind-body practices can also help NPs feel more centered and appreciative of what is. Ne is notorious for finding ways of escaping the present moment—constantly looking ahead to new ideas, options, or possibilities. While Ne is an important part of being an NP type, it can engender chronic dissatisfaction if unchecked by NPs’ other functions. By staying connected to their breathing and state of being, NPs can be seen as balancing Ne with their Si, as well as, to some extent, their feeling function. As a general rule, the more functions that are incorporated into an activity, the more whole and centered they will feel. Finding their mind-body center also helps NPs be more thorough, patient, and consistent in their work, as well as to finish what they start. When NPs feel centered, they are more willing and able to tolerate moments of anxiety or mental quiet. For instance, after finishing a paragraph or a chapter, they can patiently await the next round on intuitions, instead of trying to force their way forward. In such moments of Ne silence, they may sense a spike in inner tension, which arises from an impulse to finish or hurry. But if they can remain calm and stay grounded in their breathing, they needn’t succumb to this impulse. Instead, they can wait and listen. In many cases, the next intuition is right around the corner, but they need to wait long enough, and do so with the right state of mind, in order to receive it. By learning to pause and listen a little longer, NPs become privy to important insights and subtleties they might have otherwise glossed over, which can imbue their work with greater depth and fullness. Creative success occurs on a moment-to-moment, paragraph-by-paragraph basis. It hinges not only on the natural powers of Ne, but also requires the optimal mind-body environment and approach for Ne to flourish. Equally important, the ability to find their center grants NPs a sense of control over their state of being. Rather than being enslaved by the whims of anxiety or inspiration, they can harness the power of their own consciousness to regulate their state of being. Not only does this pave the way for creative excellence, but also for optimal living. Thanks so much for your comment. I recognize that focusing on breathing may seem a bit dull, especially on its own. But when you incorporate it with other activities (as you seem to have done with observing micro-expressions), such as creative work, it becomes more of a challenge. No longer is one focused on breathing alone, but on maintaining the optimal state of being at all times. This is also why I tend to enjoy yoga more than meditation. In yoga, there a multiple things to attend to: the movement itself, felt areas of tension, potential options for the next movement, and maintaining consistent breathing. In short, approaching the breath as constant companion rather than an isolated exercise is apt to make it more appealing and relevant to NPs. Noticing its benefits with respect to anxiety and calmness also reinforces its value. Very impressed by the quality of this article! Your work is fantastic — I completely look forward to getting emails from you. I appreciate your thoughtfulness in putting this article together … it has helped me greatly. Thanks so much! Great article! But what about INFJs and INTJs? Both lead with an intuitive perceiving function and often pursue artistic careers and hobbies. I would argue that their creativity is often less apparent (hidden) and channelled in a much more controlled manner. Would be nice to see an article focusing on them. Do you have any thoughts about where Ne stops and ADD starts? Any thoughts about when the symptoms and distress are severe enough to warrant ADD medication on top of other coping strategies? Wow. This explains so much about my life and my repeated attempts to write my first novel. If I add up the word counts of all the “first chapters”, I’m pretty sure I’ve written as many words as would be in a complete first draft of just one of those stories. Here’s hoping that the synchronicity of returning to yoga after a long absence, finally making myself sit down day after day to write, and finding personality junkie will prove to be a productive one! Nice work. Answers a lot of personal questions. Started a lot of project but lost interest due to the fact that I thought masses won’t understand or appreciate the work and laziness. Caffiene helps the mind think and see the world differently,also helps in self realization. I buy ur work. Am an INTP. I will get ur book. Thanks a lot. This is super. I really appreciate it. Thanks a lot for the very informative article, I as ENTP find that almost all of this is true about me. I wished to read something more helpful than yoga and these things to help me decide what to do and where to go. An INFP, I see myself and many of the challenges I have always had — including the mood and anxiety issues – in this article. It’s a relief to know that I’m not alone. Thank you. Many of us creatives choose different work as a result of family, societal and financial pressures. To be creative is truly a need and something you just can’t ignore. After a long, non-creative career, I am still hankering for work that is creative. I have great admiration for those who have chosen to go down the creative road with all its uncertainties. It takes guts. Thank you for the insightful and informative article. Your observations were spot on, based on my experience as an INTP. You gave me a lot to think about. Great read! Dr. A.J. ,thank you so much for this and all of your articles! Wow! Just recently I’ve found Reiki and hypnosis for raising confidence I’ve noticed anxiety has greatly lessened. It was an awesome coincidence to read this post. I never realized how my breathing had been so shallow and how much calmer I am now that my breathing has changed.–Now it is my go to response when stress begins. Thank you for your wonderful and valuable insights! Thanks a lot for your article! Very instructive and enlightening! I’m an ENTP and I totally agree with what you said about NTP easily getting anxious or depressed. The truth is that I’ve been taking anti-depressants on and off for like 13 years. The underlying reason for my depression, according to my shrink, is my 20 years’ repeated relapses of some chronic kidney disease (nephritic syndrome actually), which requires the use of large dose and lengthy use of steroid hormone (prednisone actually), a potent drug that has been proved to be highly correlated with the incidence of anxiety and depression. However, even since I was diagnosed with depression, I have taken the anti-depressants on and off, ‘cos I just didn’t feel comfortable with the idea of having to take psychoactive drugs for God-knows how long. After my depression came back for like 4 times, the shrink now suggests me take the anti-depressants for the rest of my life. Right now, I’m taking steroid hormones again with a very large dose (to contain the symptoms of my recurring kidney disease), and at the same time, taking the anti-depressants. I don’t know what will happen to me. So learning self-regulation and mind-body control can really help me get rid of the anti-depressants? Again, thanks for the article! Great article! Infp (with a strong T actually) here and i relate to this so perfectly well. Im just a bit worried about starting breathing exercises as I have tried calming myself down but I then feel as though I lose a part of myself, not knowing what comes next or being able to be useful to others…but that’s probabily the impatience in me haha. After reading this and some of the comments I may just give it a better try so thanks! Great article, which goes a long way to explain the creative struggles I’ve observed in NP types over many years. l shall pass it on to my many NP friends! You may also be interested to know that I found your observations and advice in this article relevant for my own creative challenges as an INFJ. My dominant Ni also requires a certain amount of daily inspiration to feel motivated and enthusiastic, and having to attend to too many administrative or other “mundane” tasks can also leave me feeling stuck, stifled, and suffocated. The difference is that my Judging sense of duty and need for closure will still compel me to finish these less inspiring tasks. I long ago trained myself to breathe from the abdomen, so anxiety is no longer an issue, and I have great persistence and focus when required. But all too often, the relentless treadmill of routine chores comes at the at the expense of own my creative side, and it all becomes too hard and tedious (Woe is Me!). It can be quite a challenge for an NJ-type to ignore the to-do list and be a little more spontaneous and creative instead! Try Cbd oil will help the brain for these types. INFP here and this post is very insightful to me; it truly hits the nail on the head! I have been doing mindfulness/breathing exercises more and more, but never thought to incorporate it into my writing! Thanks so much for the tip! Thanks for the article!It is very deep and interesting.I think I’m INFP(tough many times I test infj…)and this is the exactly way it works for me.I’m trying to write a novel I began years ago and it is frustrating that I have always to wait for inspiration,but when it finally comes I write for hours and have so many ideas I don’t know which of them choose…I also begin many things,jobs,hobbies,I’m happy at first but I get bored too easily and find something else that seems more attractive.I’ve often been told I lack willpower,but it is really difficult for me to carry on something that isn’t new and interesting any more.I also tried yoga and mind-fullness.I think yoga is very useful for anxious people like me,specially breathing exercises,when I feel overwhelmed,I breath deeply and slowly for few minutes and I feel better,I’d recommend everybody to try it once. Nailed it. I’m ENTP entrepreneur who struggles to take biz to next level due to overactive Ne. I can solve any problem that comes my way, but I struggle to keep myself and my team focused on the long game execution. I currently focus on two tools to counteract this. The first you discuss in this article: Si development through mindfulness and physical activity. The more I meditate and exercise, the more likely I am to stick to routine and clarify my thoughts. The second tool is more powerful: collaborate with and cede decision-making to NJs. NJs use their introverted intuition to cut through the chaos of my brainstorming to seize upon the core idea and actually implement it. When you find an NJ who can gel with your NP mind, it’s wonderfully liberating. Authors of a book called “Rocket Fuel” describe this as the visionary-integrator dynamic. Read the description of “visionary” and you get a classic NP description. Read the description of “integrator” and you get the classic NJ description. So if you’re an NP and your creative project is business-related, I strongly recommend checking that book out.